Symmetric and unsymmetric copper(I)/(II) binary and ternary complexes have been synthesized and characterized by elemental analyses, infrared (IR) and electronic spectra, conductivity, differential thermal analysis (DTA), magnetic susceptibility,X-ray diffraction and electron spin resonance (ESR) spectra. The spectral analysis showed that the ligand behaves as neutral or monobasic bidentate ligand bonded with the copper ion via azomethine nitrogen and ketonic or enolic oxygen. The ESR spectra of solid complexes at room temperature show axial type symmetry with gIIï >gï>ge(2.0023) except complex (3) and have a dx2-y2 ground state. The catalytic properties of the complexes (2), (3), (6), (7) and (8) were investigated by decomposition of hydrogen peroxide. 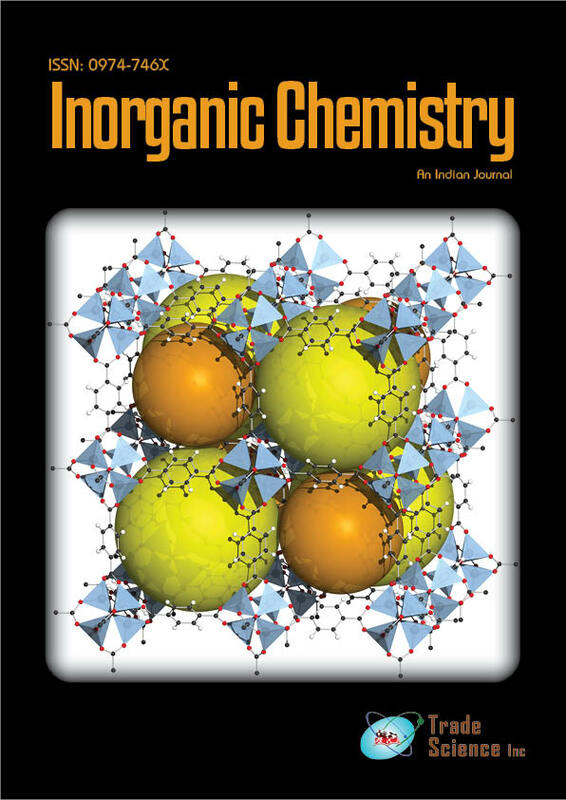 Based on magnetic and spectral studies, a distorted octahedral or tetrahedral geometry is proposed for the complexes.